Should You Start with Cow or Buffalo in Your Farm? There is no direct and easy answer to this question and the answer depends on many elements. Generally, you can expect more milk than cows compared to buffaloes. However, the amount of fat in buffalo milk is twice that of cow’s milk, due to which buffalo milk is available in the local market. As far as milk is used to remove milk, a cow can be taken from an automated machine with milk, but this work is difficult with buffalo. Buffaloes are strong animals and they have more immunity than the cow. When it comes to price, then the cows become cheap compared to buffaloes. It is easy to know that the cow’s pregnancy is easier than buffaloes. So it depends on your decision that you choose? We personally heard many dairy farmers saying that they prefer buffaloes compared to a cow. However, the final decision is yours, you can choose both and test yourself. What kind of buffalo do I choose? There are very few varieties of buffaloes from which to choose from. Though you will get some renowned dairy breeds in India, Haryana, Jaffarabad, Murera, Neeli Ravi, Mehsana, Surti and the other homegrown breeds. Which buffalo is suitable for dairy business? Most breeds are favorable and it depends on you and includes the cost, milking ability, and other managerial elements. Most dairy farmers like Murrah buffalo. How much milk does a buffalo give? The amount of milk depends on the investment and maintenance of the fodder. None of the Murrah buffs gives an average of 8 to 18 liters of milk per day (morning and evening). What is the price of Murrah buffalo? Its price varies from one buffalo to another buffalo. However, on average, a Murrah buffalo costs about 60,000 to 90,000, in which the quality of buffaloes matters. Murrah buffaloes, which give more milk, can be priced between 2 and 3 lakhs. This kind of buffalo can be bought especially for reproduction. What are the elements of Murrah buffaloes? The cycle of milk is not something else, but it is a cycle of calf giving by buffalo. For example, milking for the second time means that buffalos have given birth to a calf for the second time. Why is the cycle of milk getting necessary? Preference is given to milk producers for the second time in any commercial dairy business and for the third time milking animals. For the first time, milking buffalo may not be favorable because it is towards adoption of motherhood. However, after the release of milk for the third time, buffaloes are treated as old or old age. How to identify milk in buffalo? The information comes from the experience. Generally, the identification of milk for the first time and third time is easy, but it is difficult to differentiate between the milk and the third time. How long does the buffaloes give milk in a year? Specifically, Murrah buffalo gives milk for 300 days from 250 days. How many days does the MURRA buffaloes do not give milk? Generally, this period is from 65 days to 100 days. But if you forget the time of heat cycle, then this period can be very long. What is the cycle of heat cycles? This is the time when buffalos are ready to be pregnant once again. Usually this period is 12 to 24 hours and during this period buffaloes are co-ordinated with bull or artificial embryo is done. How to recognize Buffalo during pregnancy? It can be understood from experience. When buffalo is ready for coitus, it removes a different kind of sound and repeatedly pisses. How many days after giving birth to the calf buffalo is ready for pregnancy again? This can happen after 6 to 7 weeks of giving birth to a calf. Identifying the time of pregnancy and applying buffalo as soon as possible are important elements which determine the success of dairy farm business. This will reduce the time of giving milk without giving much milk to buffaloes, which is also called long drought time. What is the dry period called? This is the period during which buffaloes stop giving milk and another calf is given. If you have identified the cycle of pregnancy and have taken a buffalo at the time, then the period of drought would be reduced or otherwise it would be very long. Does buffalo give milk in the same quantity as milk during the milking period? The answer is no. Total milk production is more important in the entire process of milking. Take one example, after giving a calf, a buffalo gives 12 liters of milk per day and it will start giving 14 liters per day for the third week and after that, it gradually decreases to 12 liters and after that, it is stable for a long time and it will stop and slowly stop happening. How much can I earn from Murrah buffalo in Yari farming? There is no one sure answer. However, it depends on the behavior of dairy management. How can you make profits and make the dairy farm business a success? – It is very important to monitor this business so that it can stay connected daily with its activity. Never start with a big capital and start with one or two animals and understand the challenges and experience in the field of dairy. Once you get involved with this business, then you expand it on a larger scale. 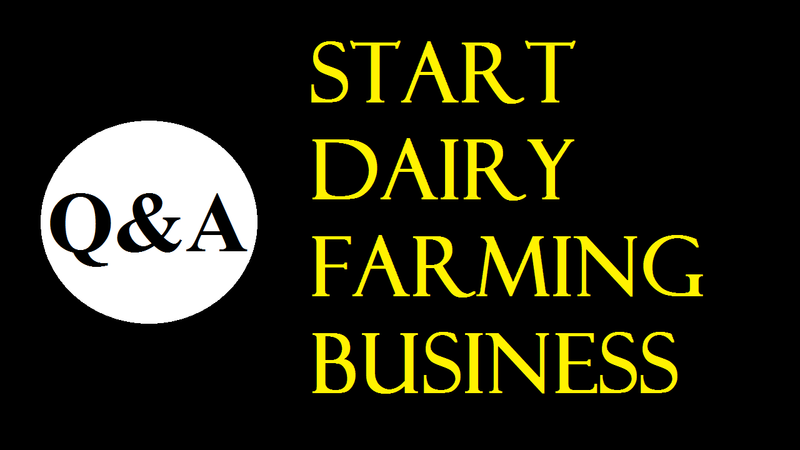 – In the beginning, do not put your money in the dairy farm business. When you believe, then you try in commercial dairy farming. To eliminate the expenditure of the fodder, arrangements have to be made to grow green fodder at home. For this, you must ensure that you have enough land so that you can cultivate green fodder. Make the preserved fodder from these green fodder to get good milk. – Before entering the business dairy farm business, the choice of good quality and structured animals is very important. – The purchase of thick fodder for animals should be purchased at as little as possible. – To be a successful dairy farmer, good calf care is important. If the female calf is three years old, it can start giving milk which can reduce the cost of capital. – Identify the cycles of pregnancy and in order to eliminate the problem of drought (stop giving milk) in buffaloes, pregnancy is necessary. – Ensure that the vet does arrive at the farm once in two weeks. To earn more profits in the dairy industry, prepare a good marketing plant to sell milk directly to large customers. With this, the milk storage center will be on your farm and where you can buy large quantities of milk daily. How to get the subsidy or bank loan for the dairy industry? This is a good question. According to the states’ plans, there is subsidy achievement in the dairy industry. The bank loan is available on behalf of NABARD for dairy plans in India. To understand bank loan qualifications and procedures, contact your local agricultural bank or NABARD office. Under the light of the above discussion, it can be said that if you follow the stated tips in this article, you will surely get success in dairy business in India.